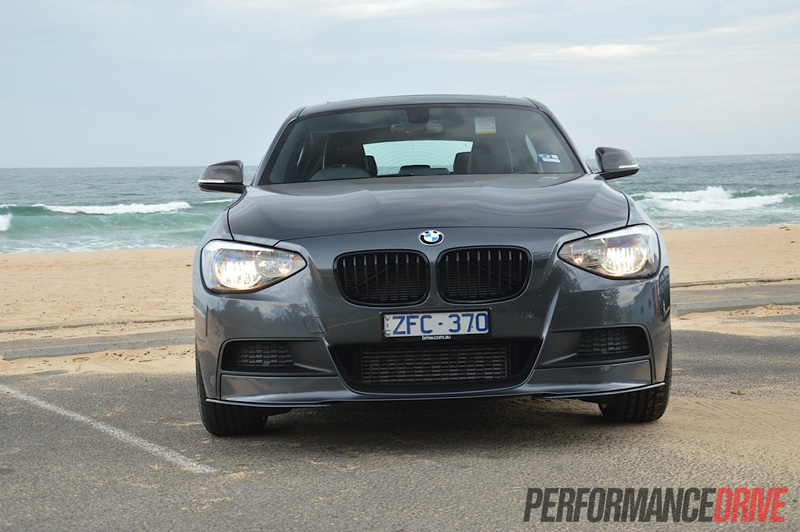 The 2012 BMW 118d M Sport is the perfect car for those who simply love driving. Why? 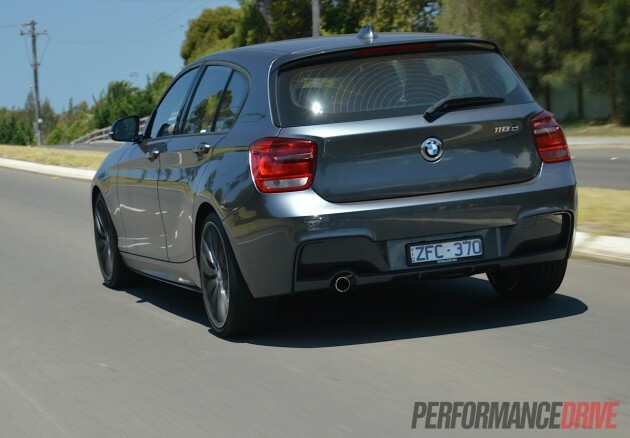 The 1 Series is the only rear-wheel drive hatch on the market for starters, so you get proper sports car handling, while the 118d turbo-diesel offers surging torque matched with hybrid-like economy, so you can drive and drive between stops. With the full catalogue of M Performance parts like on this test car, the frugal runabout is turned into a bona fide tuner’s special, adding even further appeal. 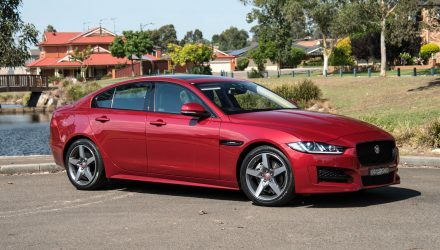 However, do the (expensive) options defeat its purpose as an entry-level car? The 118d is the only compact diesel hatch BMW offers in Australia at the moment (the previous 123d is yet to be replaced). Like all 1 Series models, the 118d is front-engined and rear-wheel drive, making it the only rear-wheel drive compact hatch on the market. This test vehicle is a rather unique one. 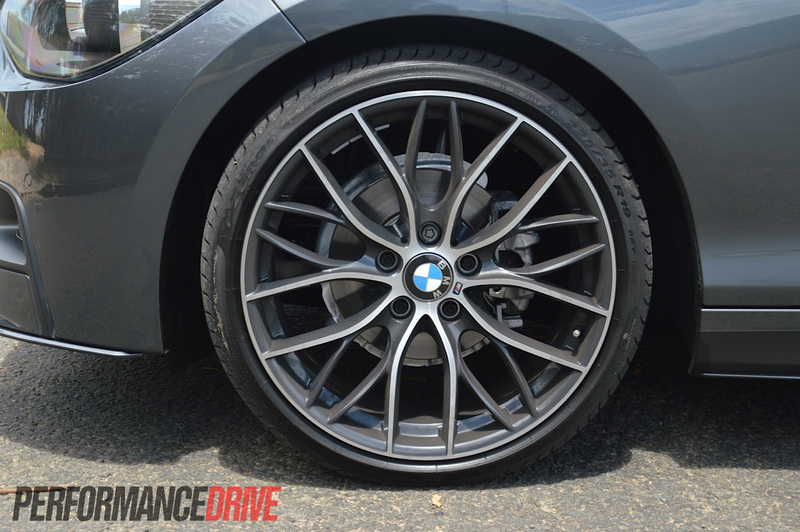 It’s fitted with the M Sport pack and a full range of BMW’s new M Performance accessories. These include various real carbon fibre fixtures inside and out, as well as 19-inch alloy wheels, sports suspension, an M bodykit, and lots of ‘M’ badges. 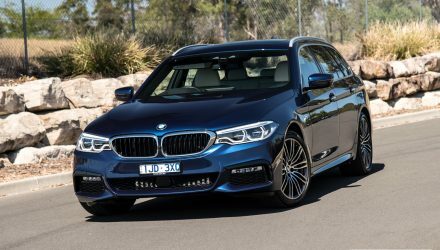 Under the bonnet, the 2.0-litre turbo-diesel four-cylinder is untouched by M Division, and produces the standard 105kW of power and 320Nm of torque. The power is channelled through an optional eight-speed automatic transmission ($2693). 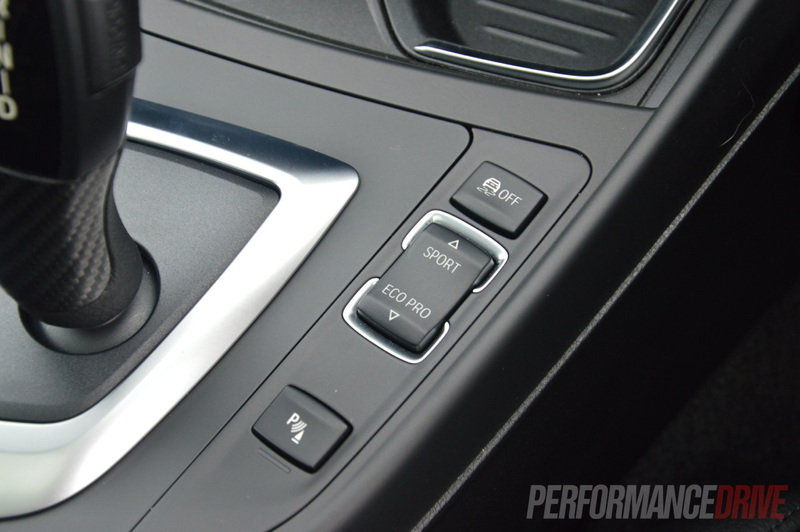 A six-speed manual is standard. For the base model 118d, prices start at $43,900. 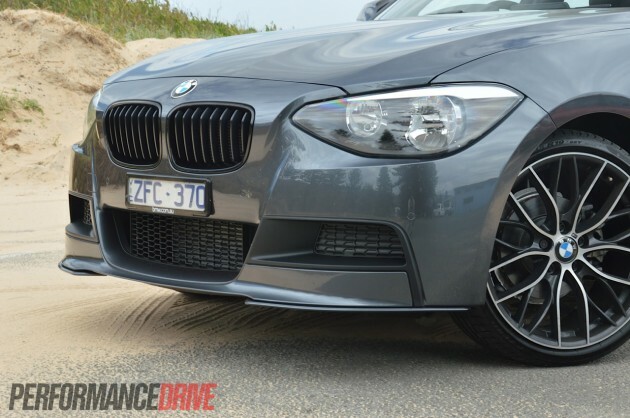 You then need to add $5385 for the M Sport package. Price, as tested, with the additional options and styling enhancements, is an eye-opening $57,425. 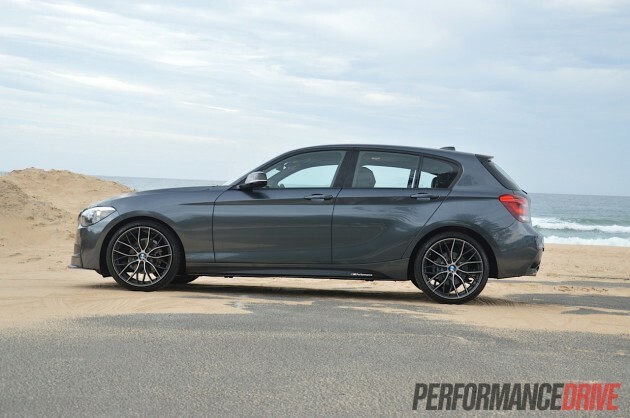 The options make it an expensive daily driver, and they also put it chin-rubbingly close to the awesome, high performance, BMW M135i ($68,400). 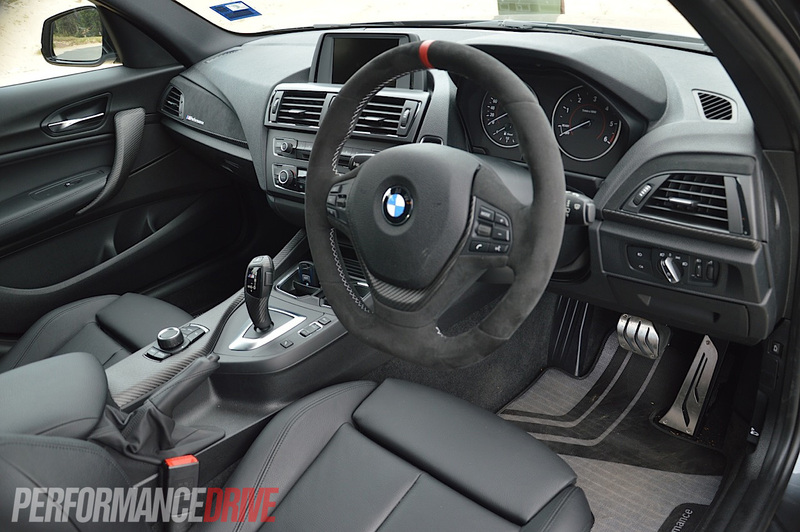 Speaking strictly of this M Sport version, the interior comes with the sportiest bucket seats BMW offers for the 1 Series, a racing-car-like suede steering wheel complete with a red centre line, and loads of exposed-weave carbon fibre. 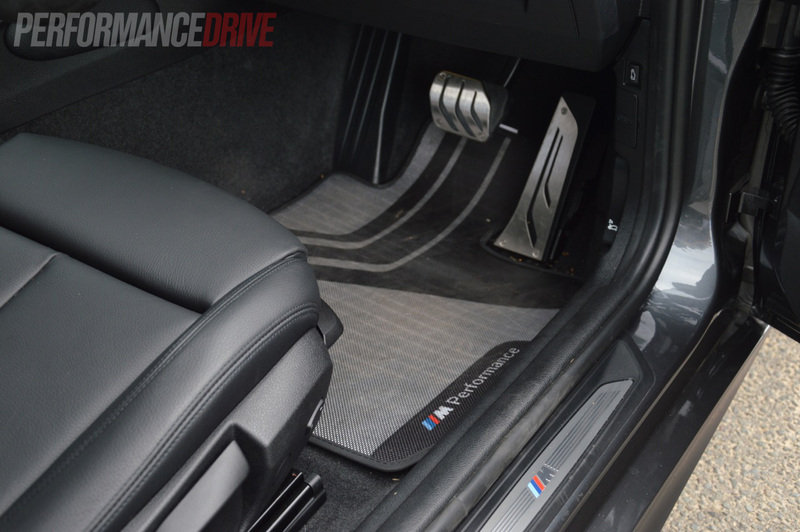 There’s also very cool M Performance floor mats, and an M Performance logo stitched into a special Alcantara section on the dash. 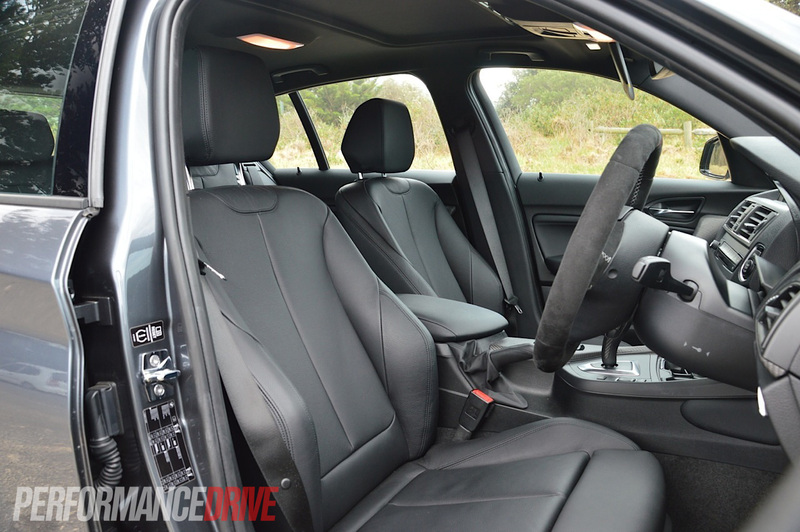 It’s a quality place to be inside, and quite intimate from a pure driving point of view. The soft steering wheel sits wonderfully in your hands, and the front seats, with their electronically adjustable side bolsters, can be adjusted for that perfect driving position. They can also be lowered right down to the floor for a hunkered down position (also good if you’re tall in stature). For most of the time, the interior is comfortable. It can be a little cramped and uneasy on long journeys… if you’re a passenger. This is mostly due to the large optioned up wheels and firm sports suspension. As a driver, though, it doesn’t get much better. More on the driving part further down. Despite growing 85mm in length and 17mm in width compared with the old model, rear-seat riders in the 1 Series hatch will find space is lacking somewhat compared to the class rivals. 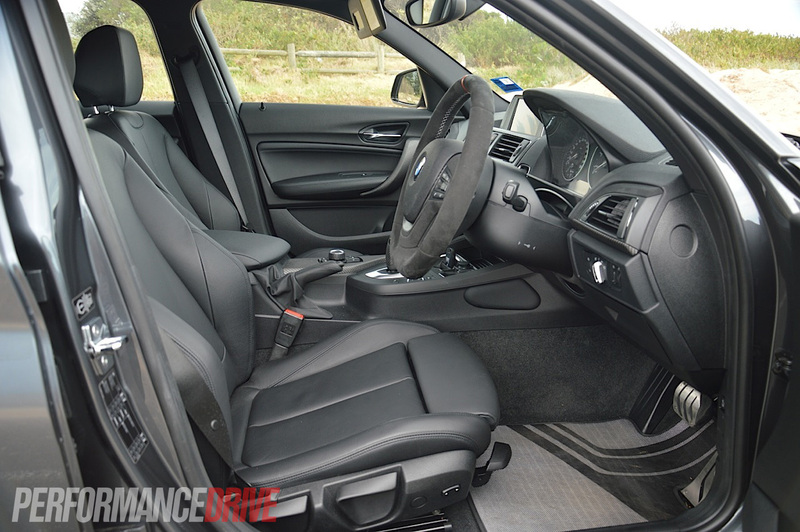 Even so, BMW says rear legroom has increased by 21mm over the previous model. While it’s fine for touring with four adults, five on board is pushing it, especially for longer drives. 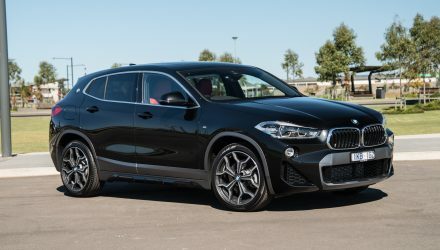 In terms of equipment and nicknacks, what does the 118d come with? Well, again, as standard, there’s a handful of premium appointments, however, most of the good stuff is reserved for the options list. 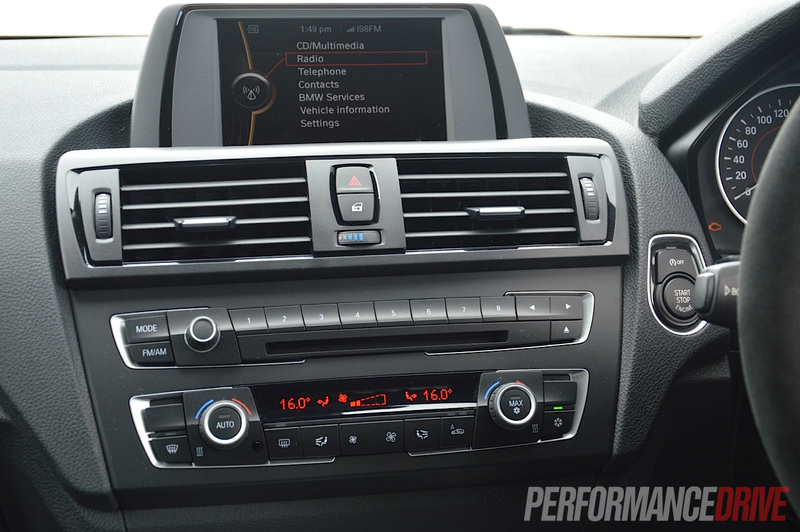 Standard features for the 118d include dual-zone climate control air-con, cruise control, keyless entry with proximity and a start button, runflat tyres and a tyre pressure monitor, engine stop-start, and a 6.5-inch ‘Control Display’ multimedia screen operable through BMW’s latest iDrive system. The display is entwined with a six-speaker stereo, while a 12-speaker harmon/kardon unit is a $1550 option. 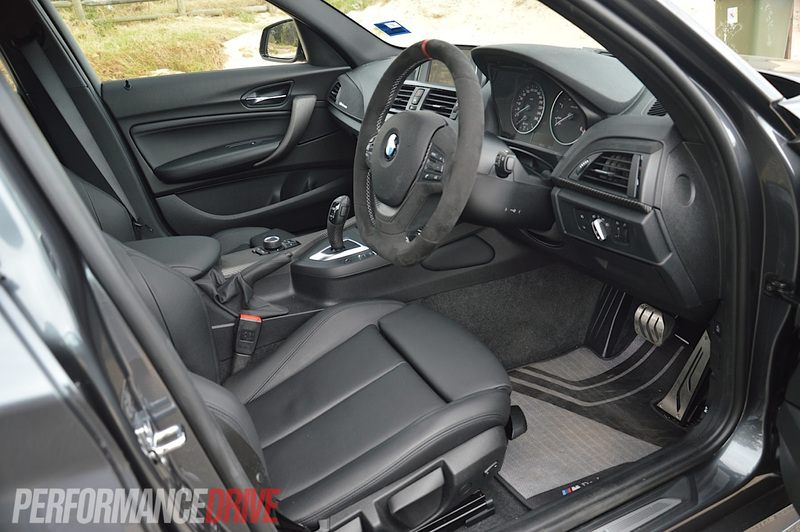 Satellite navigation is also optional on the 1 Series ($1800), as is internet functionality ($200). 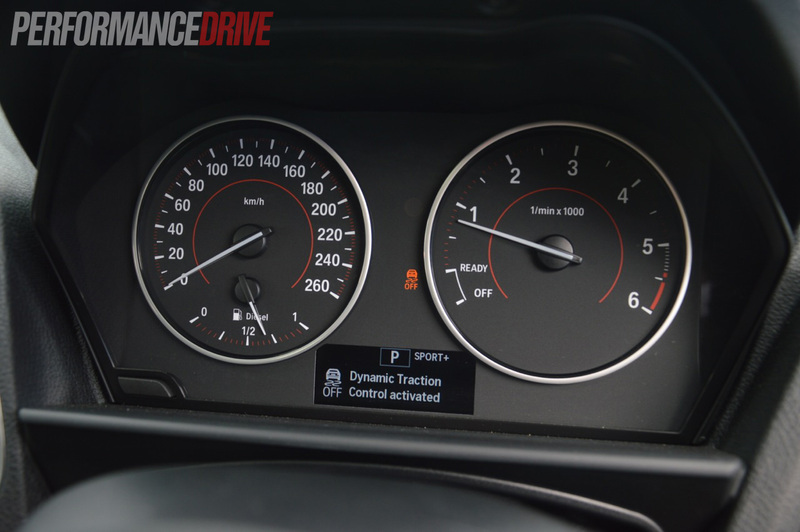 Like all modern BMWs, the 118d comes with multiple driving modes. BMW calls it Driving Experience Control. We call it a cool convenience. 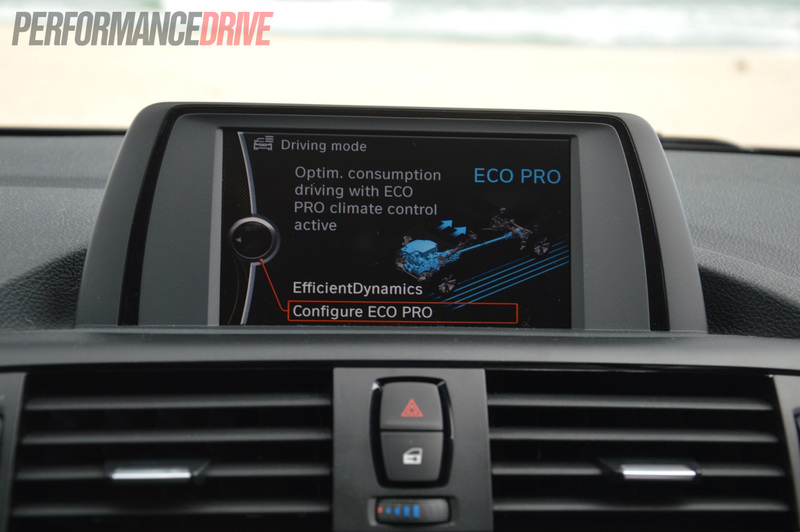 Basically, you get Eco Pro, Comfort, and Sport modes which are toggled next to the gear lever. 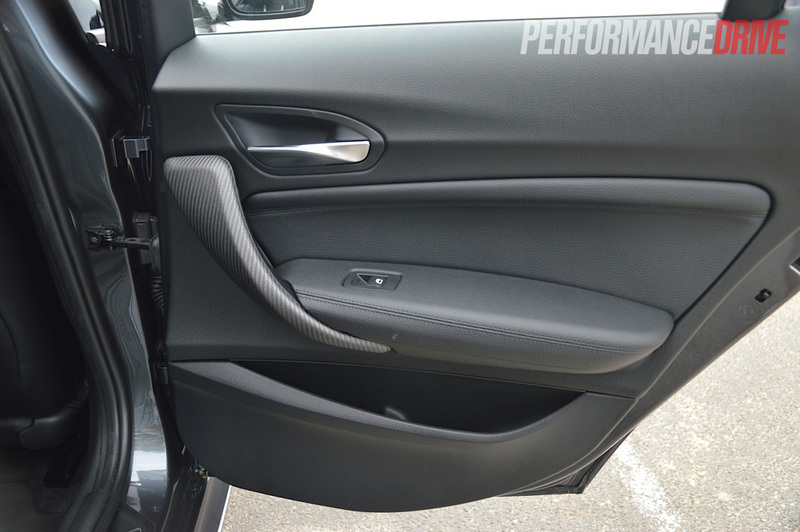 The M Sport pack brings an additional ‘Sport Plus’ setting. 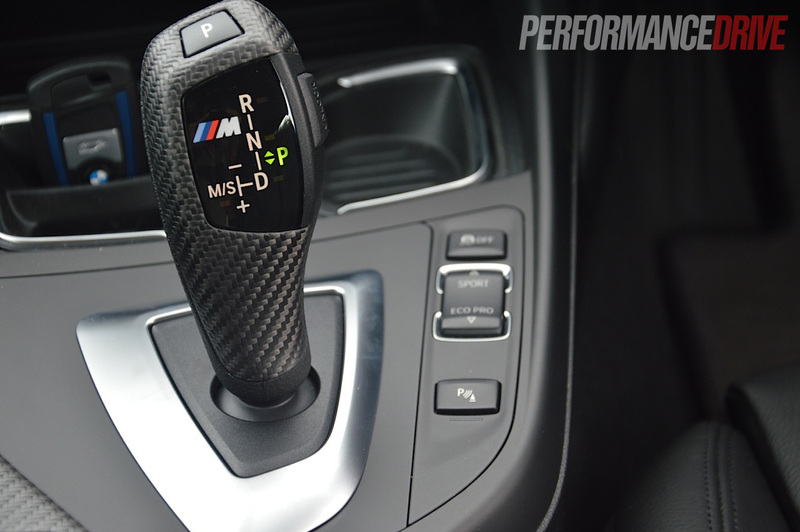 Each mode sets the car up for a respective character, and automatically makes adjustments to the throttle mapping and gear changes, and suspension response in the case of the M Sport. 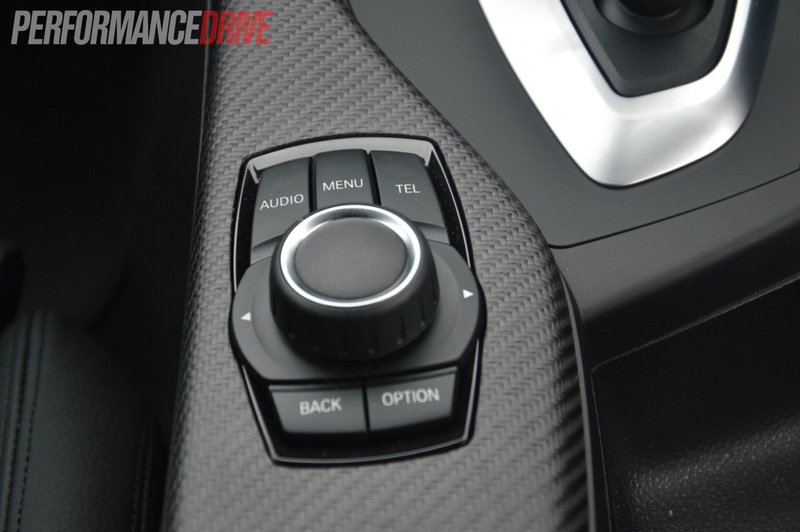 These modes all provide substantial positive changes to the way the 118d behaves on the road, depending on what driving style you desire. 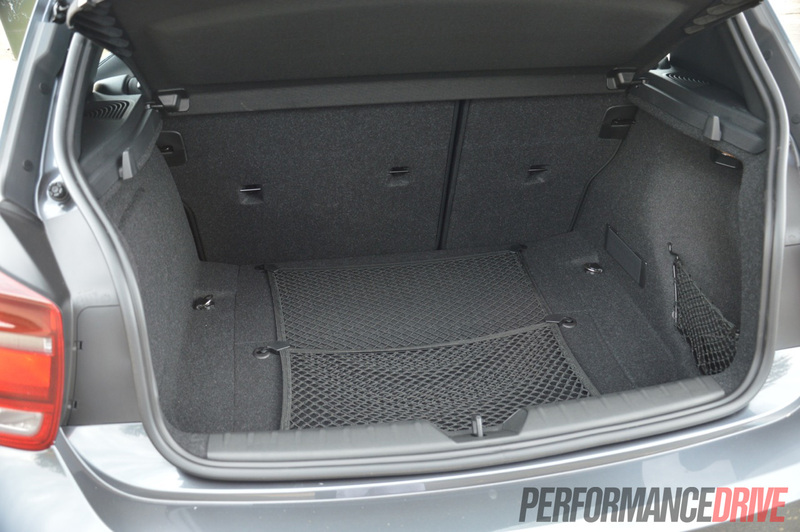 Boot space has also swollen with the new 2012 model thanks to the increased overall dimensions. Up to 360 litres is now on offer, compared with the previous model’s 330 litres. On the boot floor is a handy tie-down net to hold down loose items that might otherwise fling around. 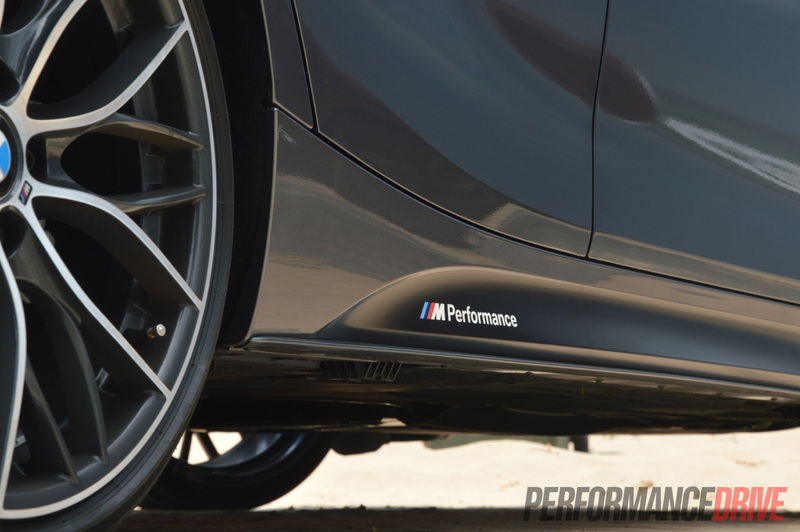 The M Sport comes with the full Shadow Line trim. The grilles, spoilers, side skirts, and trimmings around the headlights and windows, are all black. This kind of gives it a stealthy aftermarket look. In the flesh, it looks very sporty and appealing. This is all optional though, of course. The same option-me-up theme is carried over into the safety department too. 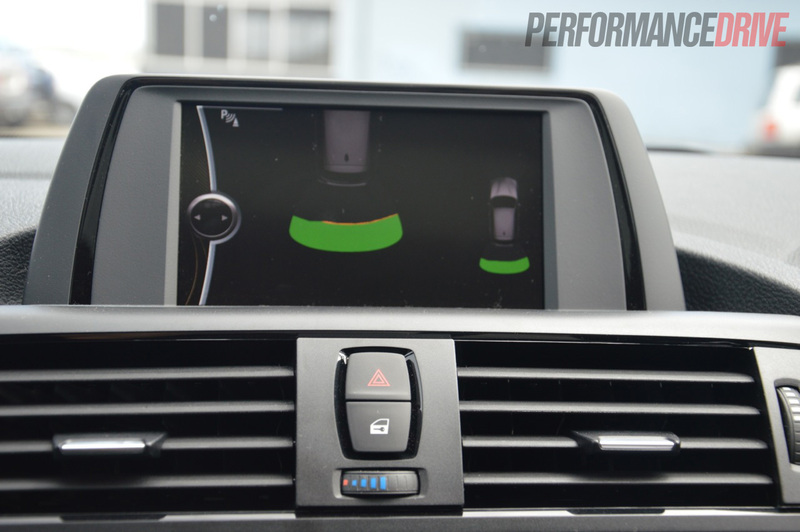 BMW offers a plethora of highly advanced mechanisms that could potentially reduce the risk of an accident by a worthy amount, however, most will cost you. 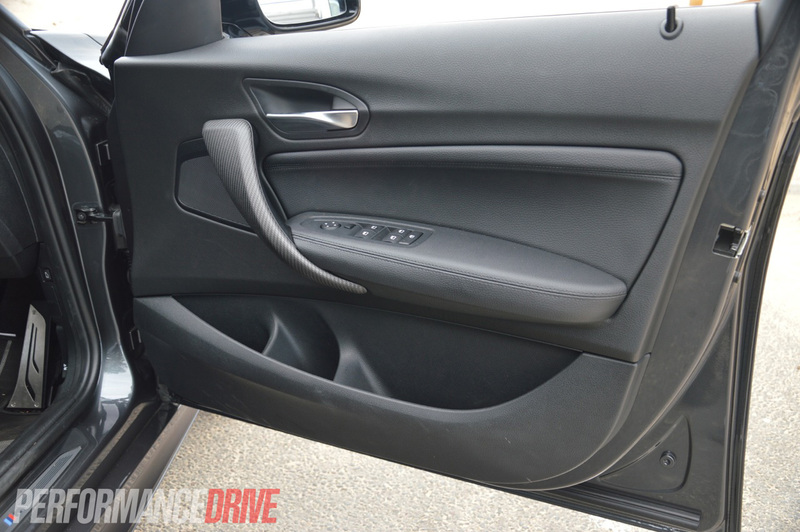 Some of the boxes that should already be ticked as standard, especially for a premium segment vehicle, include a reversing camera ($900), adaptive headlights ($940), and lane departure warning ($1400). Other options that appear as standard on some less expensive rivals but not the 118d include parking assistance ($675), and automatic high-beam headlights ($320). 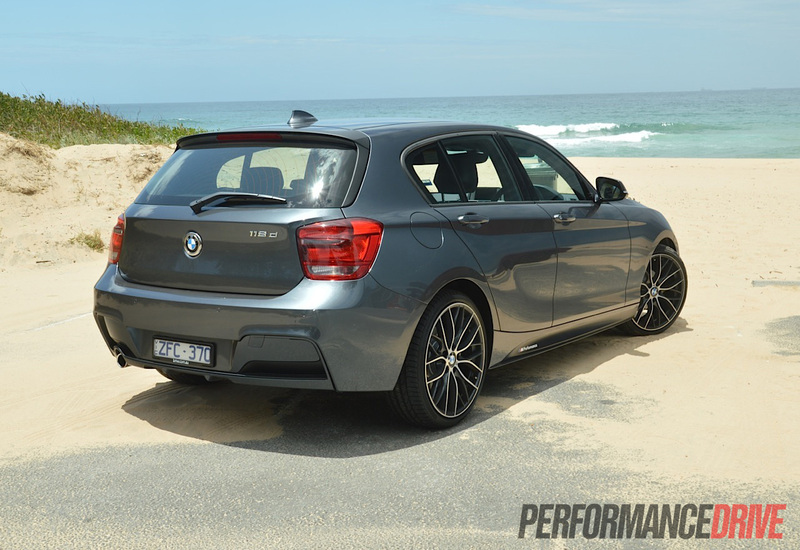 Even so, without any options, in normal bare-bone trim, all BMW 1 Series vehicles come with eight airbags, stability and traction control, a first aid kit in the boot, and a five-star ANCAP safety rating. Although 105kW doesn’t sound like much, because it isn’t much, it’s the torque figure here that impresses. With 320Nm on offer, there’s a commendable shove in the back from low revs. The mid-range is also very strong, making overtaking a breeze out on the highway. 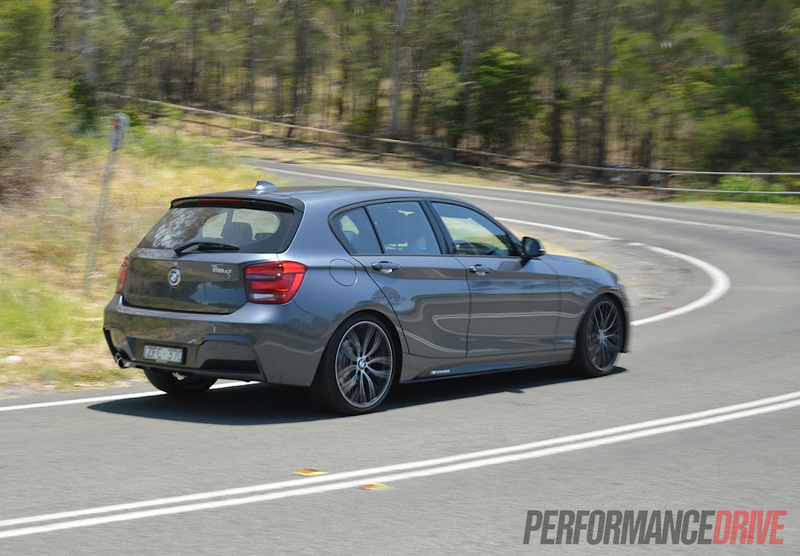 To get the best out of the 2.0-litre turbo we found changing up gears relatively soon to work a treat, allowing the turbo torque to surge through higher gears and pick up momentum with very little effort. 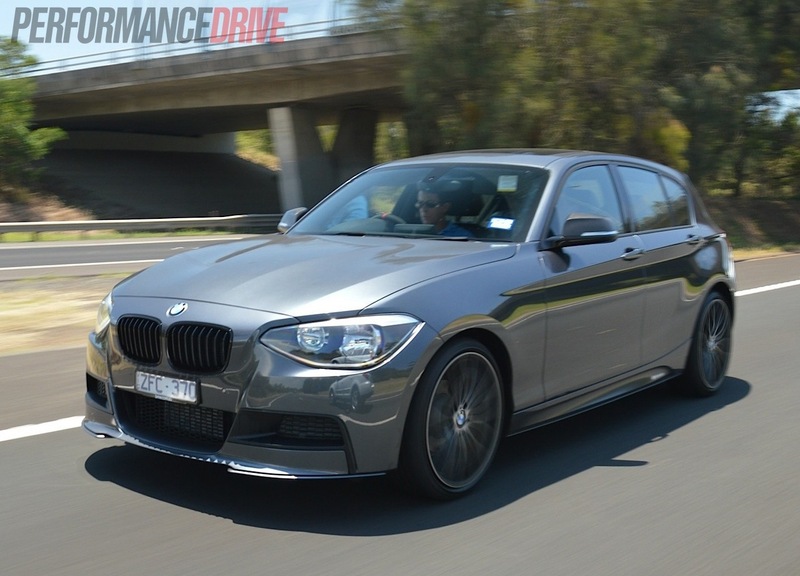 Like all modern-day BMW turbo-diesel engines, the 118d doesn’t sound rough or rattly. It sounds smooth and refined, and could quite easily be mistaken for a petrol unit. In fact, we had a few passengers that we took on board during our test that were genuinely surprised when we told them it was a diesel, immediately assuming it was petrol. 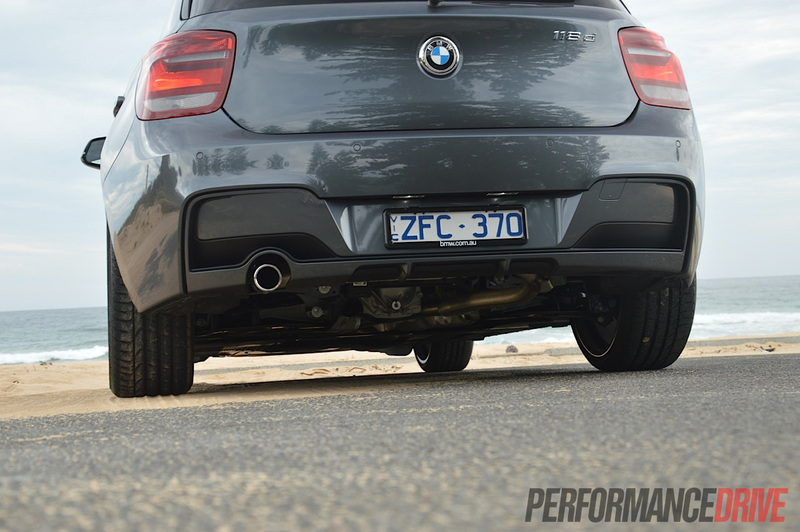 The exhaust does have a tendency to give off a tantalising burble between gear shifts, adding a dash of bass to the engine’s soundtrack, so you can hardly blame them. So how does it perform? Again, it comes down to that torque. It pulls it through with urgency no matter what gear you’re in, and no matter how much load you are carrying. 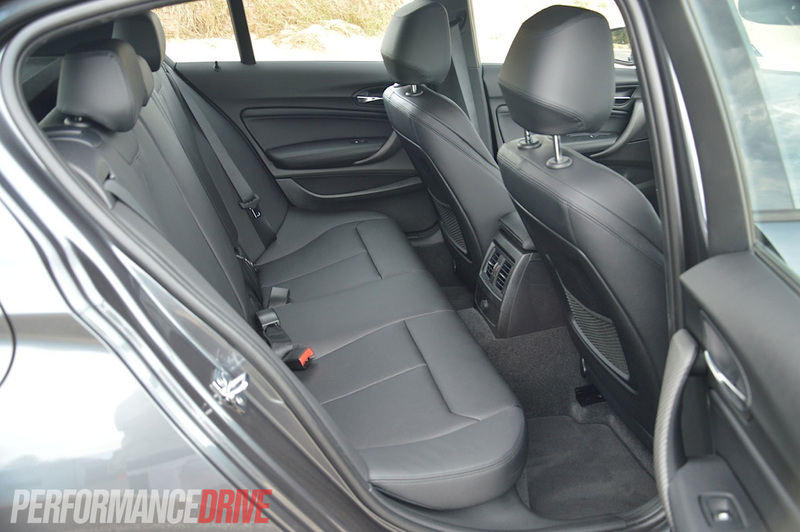 Even up steep hills, with four passengers, the 118d is able to accelerate more than adequately to keep a driver happy. 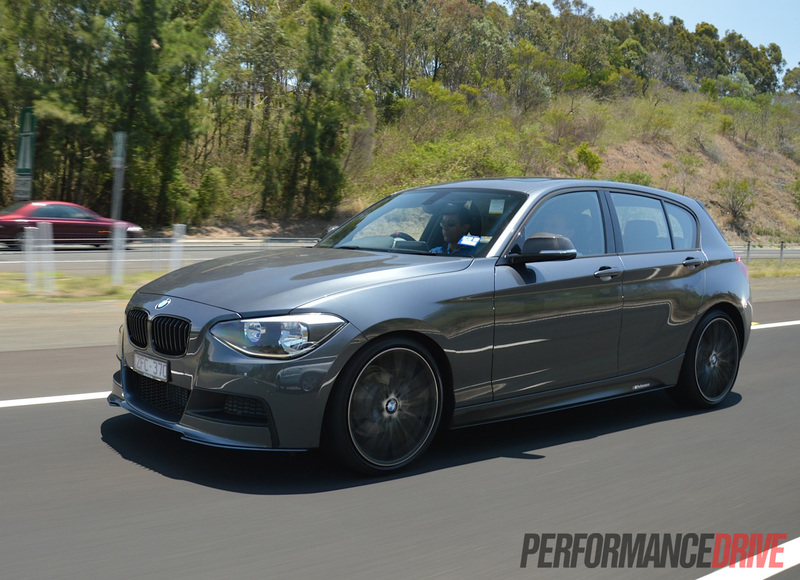 With 105kW, it’s still a touch more powerful than a Toyota Corolla ZR in any case (103kW). We timed 0-100km/h in a reasonable 8.8 seconds. This was achieved after initially dialling up some revs while resting on the brake, and then releasing the brake. Some wheelspin off the mark livens up any notion that’s left of the ‘stereotypical diesel’. Being a BMW, the best part about the 118d M Sport is of course the handling. The steering is satisfyingly precise, with good weight and excellent feedback. It’s most enjoyable switching and dancing between higher speed bends, using second gear, or even better, third gear and upwards. 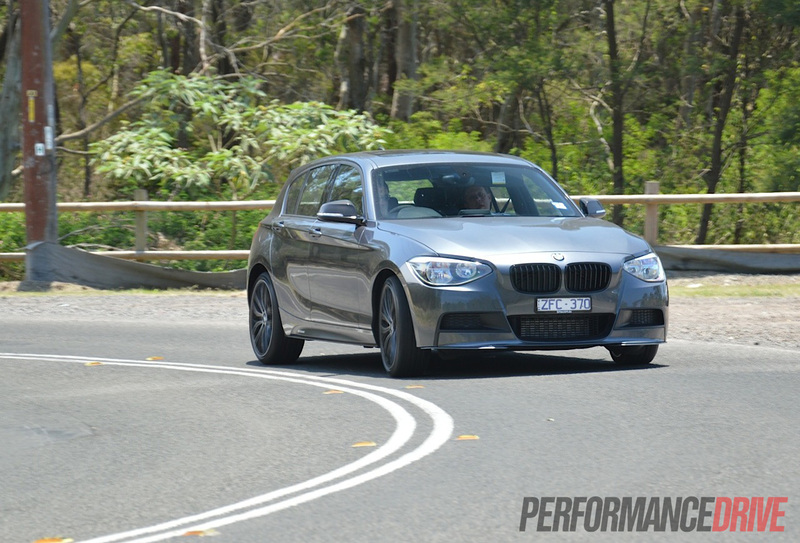 We did notice some minor understeer during our test, which is quite unusual for a sporty BMW. 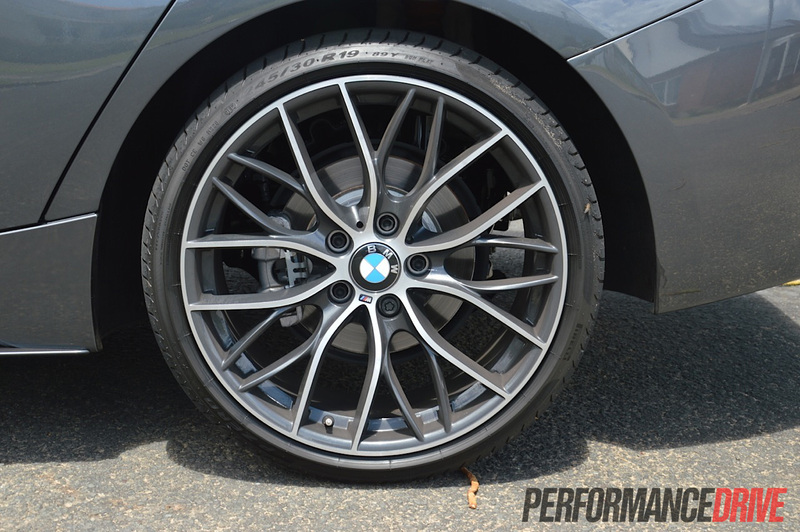 We feel this could be down to the very low-profile tyres (225/35 and 245/30 R19), and wheels that are perhaps a touch too large for the 1 Series (19 inch). The understeer was only evident during low speed corners, while not leaning on the throttle. Once throttle is applied, the chassis seems to pivot around with more competence. Again, this is only in the slow-speed stuff. The car is pretty much flawless in higher speed and more active areas, with strong brakes, and super-responsive suspension. Overall, the 118d M Sport is an extremely capable, communicative, and very entertaining and rewarding car to drive. As you would expect just by looking it at. 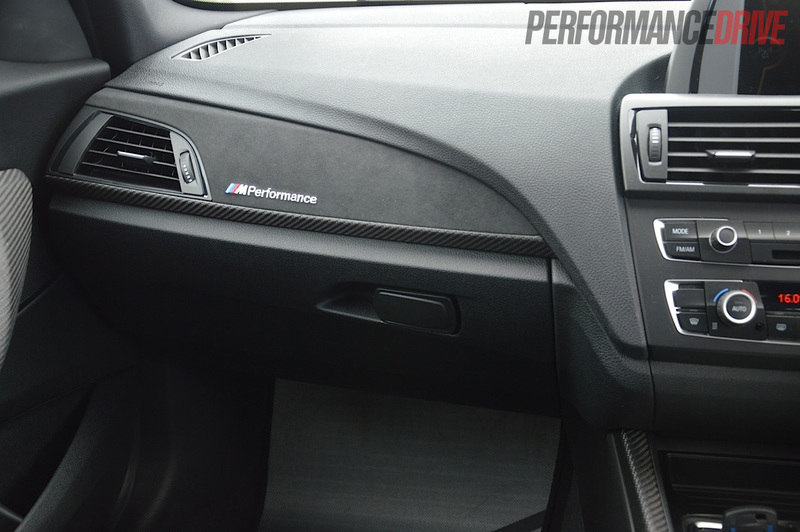 It’s obviously not an outright performance car, despite the collection of ‘M Performance’ badges suggesting so. That doesn’t mean it’s not fun. As anyone who has driven/owned a modern BMW will tell you, it’s all in the steering and that magic connection the car provides between man and machine. 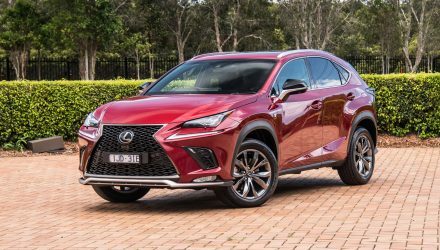 The fact that its official economy rating (4.5L/100km) is just shy of the Toyota Prius (3.9L/100km), it proves being green doesn’t necessarily have to coincide with being boring. 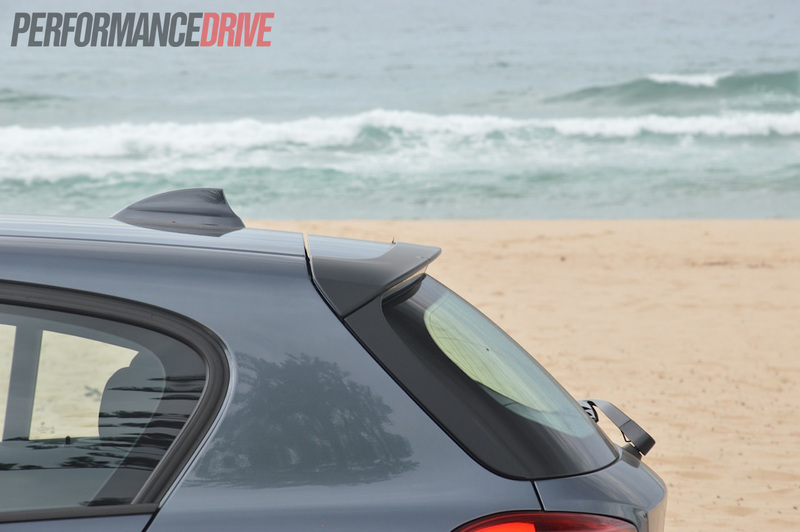 These two points make it an ideal driver’s car for the 21st century. 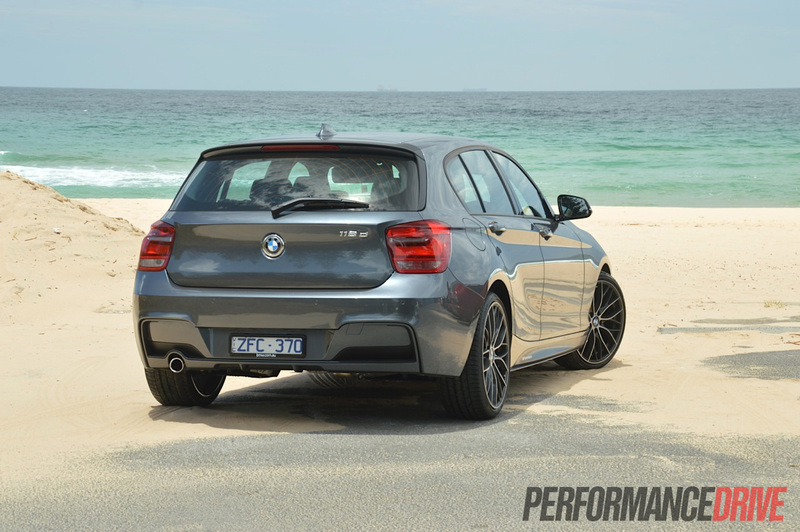 With the added M Performance features, it stands out as something special, and it quenches your enthusiast thirsts every time you look at it. 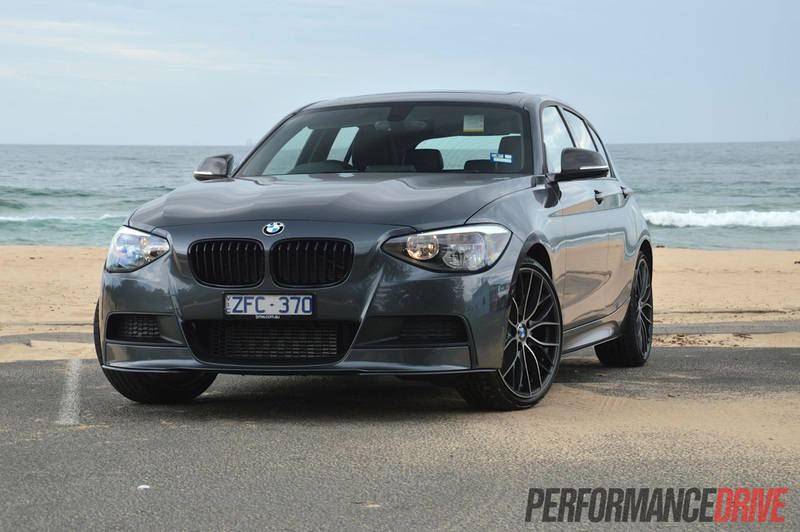 The main problem is, the cracking 235kW M135i is only around $10,000 away. Like all Volkswagen Group vehicles, the A3 offers excellent build quality and fuel efficiency, wrapped up in a smart and handsome design. TDI not quite as efficient as the BMW 118d (5.7L/100km vs 4.5L/100km). No manual option. 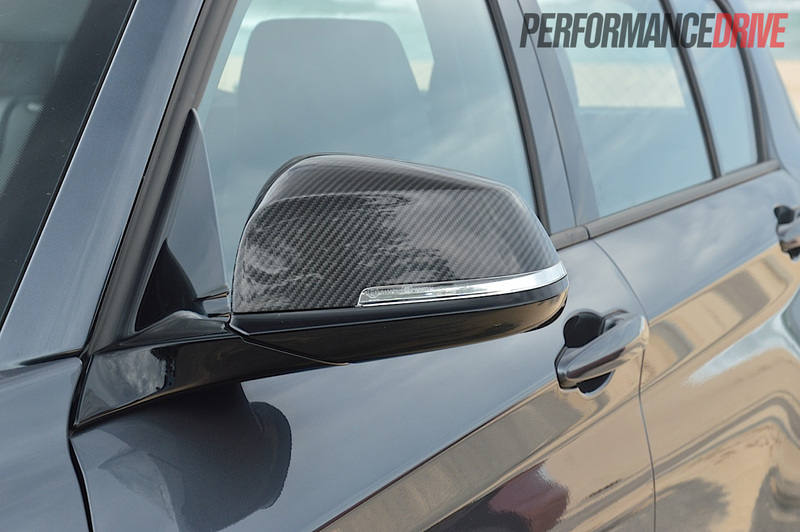 Set to hit Aussie showrooms in March, the new A-Class is looking to really tackle the premium hatch segment head on. It will offer much funkier hatch styling over the previous awkward van-like A-Class, and come with a range of turbo petrol and diesel engines. Hot AMG model with 250kW-plus also on the way. Like the new Mercedes A-Class, the Volvo V40 will be a cracking little hatch firmly directed at the Volkswagen Golf and upwards. It comes with a striking new body design, efficient turbo petrol and diesel engines, as well as class-leading safety.